Dating back to 2005, Russell has been hosting podcasts for television shows as well as personal interests, from Starkville's House of El ("Smallville") to The 10th Wonder ("Heroes") and more recently with Starkville Super Friends ("The Flash" and "Supergirl") and Ray's Occult Podcast ("Ghostbusters"). 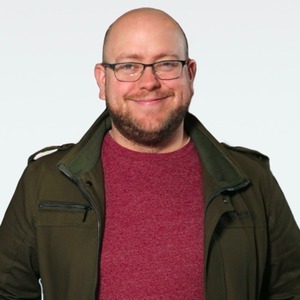 A journalist and freelance writer, Russell has written for DC Comics, CBS Watch Magazine, Titan Magazines and is an award-winning newspaper columnist. He also hosts Bury the Lede and "...with Brian Austin Green" alongside actor Brian Austin Green of "Beverly Hills 90210" and "Terminator: The Sarah Connor Chronicles." Derek Russell has hosted 22 Episodes. "Krypton" executive producer, writer and showrunner Cameron Welsh sits down with the House of El for a look back at how season one of the Syfy series came to fruition and what season two holds. 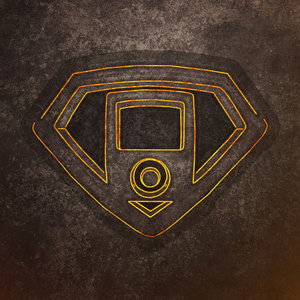 Cameron Welsh, executive producer and showrunner of "Krypton," stops by the House of El immediately following the season one finale's airing with your definitive and in-depth look at the fates and storylines from the cliffhangers of "The Phantom Zone." Krypton | Episode 14 - "Savage Night"
1x08 - "Savage Night" - A resistance movement begins to form to impede the Voice of Rao's increasing power and influence. "Krypton" writer and producer David Paul Francis returns to the House of El to discuss more about "Transformation" after its airing on Wednesday and look ahead at the final three episodes of the season. 1x07 - "Transformation" - After a failed coup, Daron punishes the conspirators. Lyta and Dev go in search of Jayna. Derek and Frank are joined by "Krypton" assistant editor Corey Trench. "Krypton" writer and producer David Paul Francis stops by SHoE to discuss his episode, "Transformation," that airs Wednesday on Syfy. Krypton | Episode 12 - "Civil Wars"
Frank and Derek are joined by Craig Byrne of Kryptonsite to discuss episode 1x05's ending reveal and the trailer for coming weeks featuring General Zod, Jax-Ur, Brainiac and Doomsday. Krypton | Episode 10 - "House of Zod"
Krypton | Episode 9 - "The Word of Rao"
"Krypton" composer Pinar Toprak sits down with SHoE host Derek Russell to discuss her themes and inspirations for the first five episodes of the series. Krypton | Episode 8 - "The Rankless Initiative"
Krypton | Episode 7 - "House of El"
Krypton | Episode 6 - "Pilot"